En Route Jacket on the bottom, and new spin items on the top. Long Sleeve, Mesh panelled crops and a singlet. Not liking any of those items. 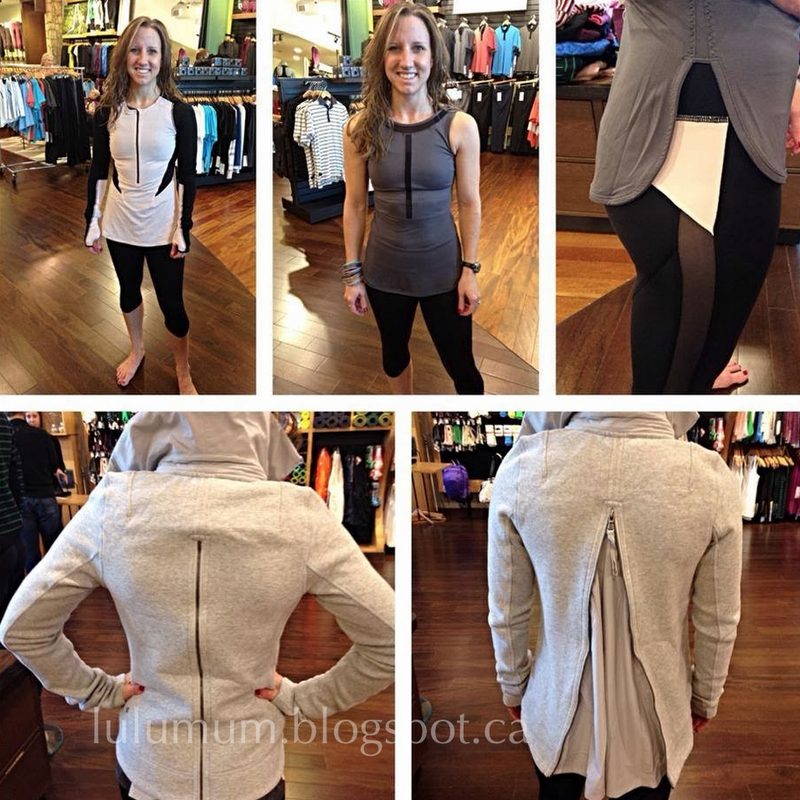 "Hey Lululemon Contest: New Savasana Wrap? And More?" "Product Drop Monday: Ride Inside Cycling Capsule"